Instead of just going out to a bar or restaurant, find a place that hosts live trivia. There are nationwide organizations like Sporcle and Geeks Who Drink that host free weekly trivia. Get a group together, order some apps and drinks to share, and put your memory to work. You can win prizes like bar swag and gift certificates. Karaoke, like trivia, can be found in just about every city. If your group of friends loves singing, performing, or is up for anything, karaoke can be an exciting activity. To have the best possible time at karaoke, be sure to choose fun songs that everyone can sing along to and don’t take yourself too seriously. Alcohol never hurts either, so plan on getting a drink or two. If you’re an active person, take the party outside and do something adventurous. Depending on your level of fitness and time of year, you could go kayaking, golfing, snowshoeing, or skiing. After breaking a sweat, you and your friends can relax at a bar or warm up next to a fire. If you want to stay in for your birthday, but want to do something besides dinner, consider a murder mystery party. 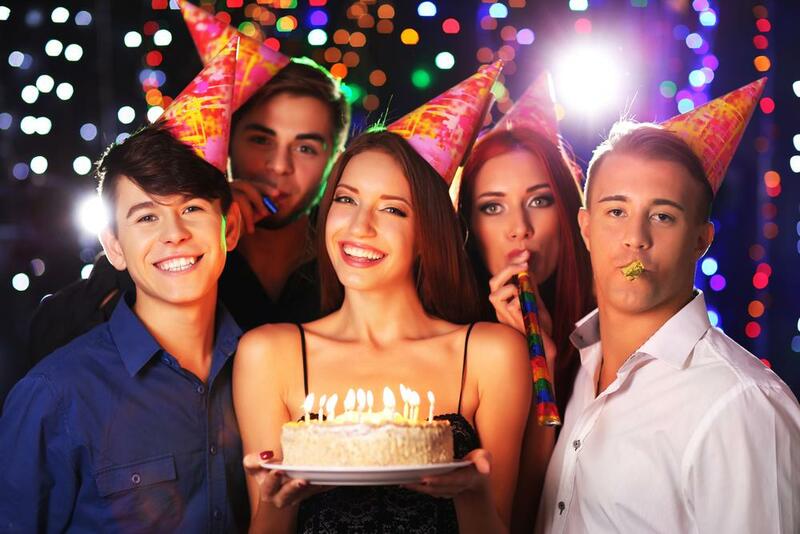 These parties consist of a plot and cast of characters all played by your friends. Instructions on personality traits and who gets murdered (and who did the murdering) are all included in game packs, which can be purchased online or found for free. The party doesn’t have to go overnight, so think of it as day-camping or having a high-brow barbeque. Food can include nice cheeses, foil-wrapped meals on the fire, gourmet s’mores with high-quality chocolates, and fine wine. For decorations, think string lights, candles, and canopies.